Energy is in everything and every living thing needs energy to live. Our primary source of energy is the sun. Watch the sun’s energy charge the earth’s climate engine. The sun’s warm radiation fuels plants that in turn fuel animals. But people use other sources of energy. Energy cooks our food, warms our homes, lights our streets, brings us television and powers our cars. Energy is defined as the ability to do work, and we use energy to work. Work moves, lifts, warms, dries, lights! Energy comes in different forms: heat (thermal), light (radiant), mechanical, electrical, chemical and nuclear. Stored energy is potential energy and moving energy is kinetic energy. 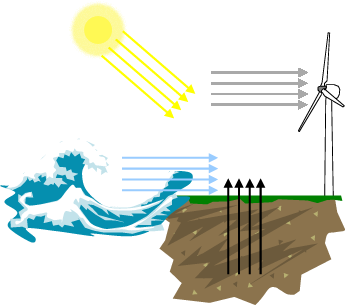 Some energy sources are renewable, like wood (the first source for fire), solar, geothermal (inside the earth), biomass (from plants) and wind. Water (hydrothermal) is a valuable natural resource, but must be conserved wisely. Some sources are non-renewable like coal and oil and pollute the earth and air and water. Non-renewable sources cannot be replenished or take millions of years to replenish. Watch the Natural Resources Video to see thatpeople need to use renewable energy sources to live sustainably! In this activity, you will research comparative energy measurements. A basic measuring block of energy is a British Thermal Unit. A BTU is the amount of heat energy it takes to raise the temperature of one pound of water by one degree Fahrenheit, at sea level, which basically equals the heat of one kitchen match. Your favorite candy bar roughly equals 1,000 BTUs! There are many words in the field of energy. Some vocabulary is about processes. Other words are about heat measurements. Still other terms describe chemical processes in living things. Record these energy words in your journal and start your energy quest! People require energy for everything! Calories are actually joules, or a unit of energy created when we digest food. Foods contain protein, fats, minerals and carbohydrates that convert into energy in through digestion and absorption. Research comparative energy measurements. 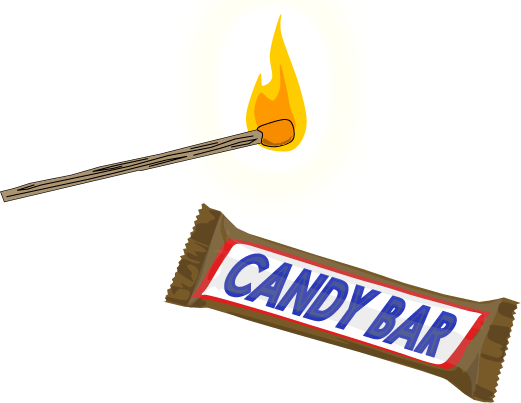 Your favorite candy bar roughly equals 1,000 BTUS! BTUS are used to measure radiant heat. A BTU, or British thermal unit, is the amount of heat energy it takes to raise the temperature of one pound of water by one degree Fahrenheit, at sea level which basically equals the heat of one kitchen match. People require energy for everything! We eat food to take calories in and need to balance what we are eating with how we are moving. A calorie is approximately the amount of energy needed to raise the temperature of one kilogram water one degree Celsius. Food and beverage calories combine with oxygen to release energy. Metabolism converts what we eat and drink into energy. Metabolism allows organisms to grow and reproduce, maintain their structures, and respond to their environments. 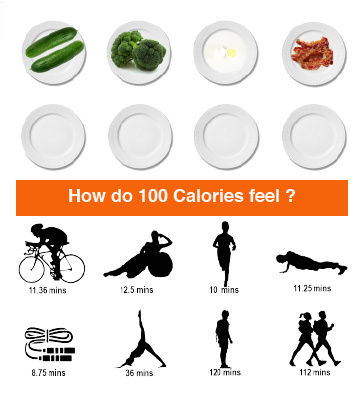 What do we need to eat to take in one hundred calories? How many calories do you need for energy each day? People want to be healthy! 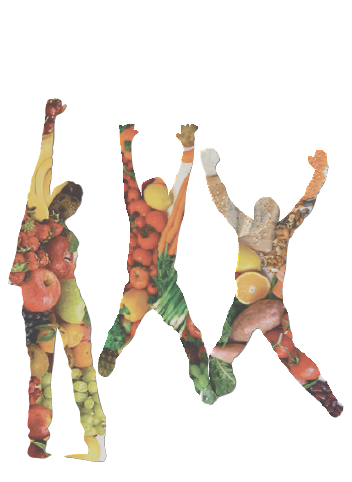 Being healthy includes getting energy from food, friends, and your lifestyle. It means balancing your body, mind, and spirit Collect symbols for all of the activities you like to do and see how many calories they burn. We even burn calories when we are sleeping as our body is busy rebuilding our cells. Standing burns more calories than sitting. Running burns more calories than walking. Take a look at the following activities and see how many calories they burn. It is all about balancing calories taken in, calories stored and calories used. Try to balance your daily caloric intake with output! People were made to move! Moving burns calories. How do we burn 100 calories? For instance, we even burn calories when we are sleeping as our body is busy rebuilding our cells. Standing burns more calories than sitting. Running burns more calories than walking. Take a look at the following activities and see how many calories they burn. It is all about balancing calories taken in, calories stored and calories used. Try to balance your daily caloric intake with output! 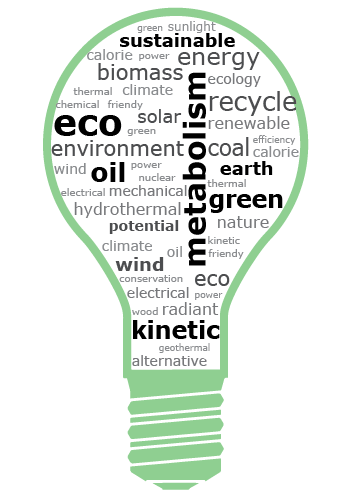 Activity 5 – Compare Energy Sources! What energy do you use everyday? First, you eat to nourish your body, you turn on lights to see, you turn on hot water to wash, and you turn on heat and move around to keep warm. All of these actions use or make energy. Make a chart of everything you do during one day. List your activities in the left column. Then declare if the activity used stored or kinetic energy. In the third column, state whether the activity used renewable or non-renewable energy. Finally, make a pie chart that shows percentages of used energy, potential and kinetic, and a second pie chart of renewable or non-renewable energy sources. What did you discover about your energy use? Are you using energy wisely? If the world can help spread the available energy to all that need energy, what can you do to not over-use energy? How long has energy been around? What was our first source of energy after the sun? Who were the important inventors of energy sources and uses? 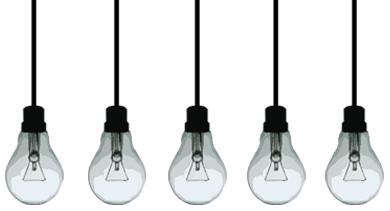 Research the history of energy types and make a timeline. On the timeline mark key inventors and what invention they contributed to our use of energy. Make a guess about the energy for the future!